Students write about their daily routine. 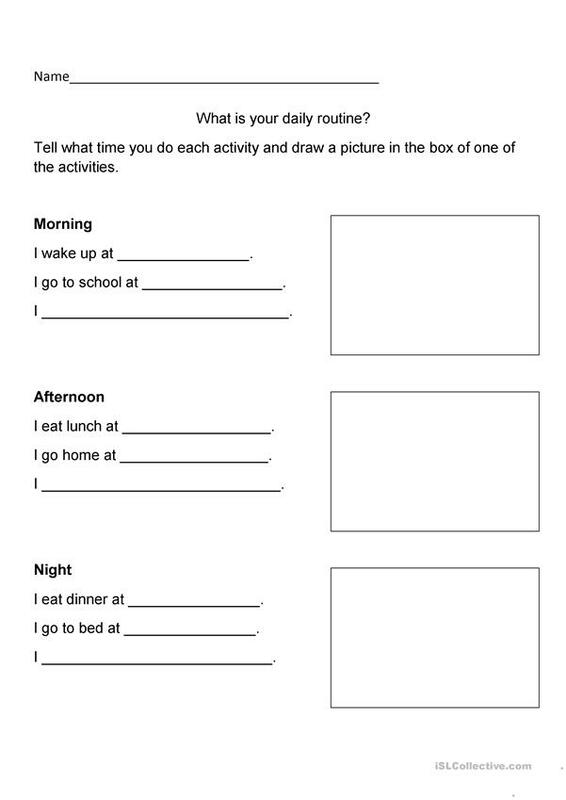 Students can practice writing time and draw pictures of their daily activities. The above downloadable worksheet was created for elementary school students and kindergartners and nursery school students at Elementary (A1) and Pre-intermediate (A2) level. It is excellent for working on your pupils' Spelling, Reading and Writing skills. It centers around the topic and words of Actions. lemmondhead is from/lives in United States and has been a member of iSLCollective since 2012-06-08 06:40:21. lemmondhead last logged in on 2012-06-08 09:01:25, and has shared 1 resources on iSLCollective so far.